Justin Brierley is the host of " Unbelievable?" the UK-based apologetics radio/podcast show (which is one of my personal favorites!). I have had the privilege of being on the program twice to discuss the martyrdom of the apostles and talk about why I am a Christian with Ryan Bell, the pastor-turned-atheist. 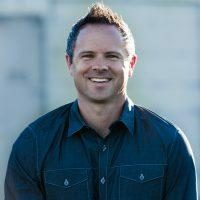 SEAN MCDOWELL: My guess is that a lot of people believed your show Unbelievable? wouldn't be successful? Yet it has! Why do you think it has been so well received? JUSTIN BRIERLEY: The show brings together Christian and non-Christian points of view. And when it began on Premier Christian Radio, there were plenty of Christian listeners who didn't appreciate hearing atheists on their airwaves! But, as it turns out, there were also plenty of believers who wanted to break out of the Christian 'bubble' and learn how to engage fruitfully with skeptics. The comment I frequently get from folk who listen in the States (both Christian and non-Christian) is, "We don't have anything like this on our radio stations," so I think it meets a need for better quality conversations than we often hear in our media. MCDOWELL: What are some insights you've learned from moderating controversial conversations between Christians and people of opposing views? BRIERLEY: First, that there's no need to be afraid, even when we encounter powerful objections. The new atheists aren't bringing objections to faith that are actually all that new. Someone somewhere will have thought about it and made a response! If you hear a strong objection for the first time, then be patient and look into it, and then respond. Too often Christians respond out of fear rather than love when they hear their faith being attacked. Over time, after hearing so many objections I've learned to understand that there are only a limited number of them, and they often fall under a particular category. That give me the confidence to mentally sort and sift objections without having a knee-jerk response. Second, the way we have the conversation is just as important as the arguments we make. It’s sometimes said that you can win the argument but still lose the person. I’ve seen some great debaters who were terrible advocates for Christianity because of the way they conduct themselves. Treating people with the ‘gentleness and respect’ advised by 1 Peter 3:15 means that they are much more likely to listen to you. And that actually works both ways – for both Christians and skeptics who want to persuade people. MCDOWELL: Given your experience hosting radio debates, what do you think are the most important traits for Christians to be effective communicators today? BRIERLEY: I think many Christians need to learn the art of having a good conversation. We live in an age where people are far less willing to be ‘talked down to’ than they used to be. Nowadays, in education, work projects and many areas of life we expect to be included in a dialogue rather than told what to think. Unfortunately, many Christians take the same approach to talking to non-believers as the preaching they see modelled in church. But that won’t do as it will often feel like a lecture and rankles with most people outside a church context. That’s why I think the typical debate format (where each side takes an allotted amount of time) is also starting to be replaced by public conversations that more like the Unbelievable?format. It’s more natural and relational, and you end up learning more both about the topic and the people involved. So Christians need to learn to both speak and listen more in order to have good conversations. We need to be wary of thinking that having longwinded arguments on social media will do any good (I think they have very limited value). Maybe spend that time actually plugging in with a person in ‘real life’. That’s how the vast majority of people in the history of the world have com to faith! Finally, when you do try to persuade people that Christianity makes sense, keep the main thing the main thing. There are a million different things we can disagree about, but if there is a God and Jesus rose from the dead then a lot of the rest is secondary. MCDOWELL: You have a new book coming out called Unbelievable? Why, after ten years of talking with atheists, I'm still a Christian. There's a ton of apologetics books available now, so what makes this one unique? BRIERLEY: Hopefully this book will be of interest to those who have listened to Unbelievable? as it will give you an insight into many of the conversations and people who have been on the show. For example, how I finally managed to bag an interview with Richard Dawkins after years of trying! I think it will also be interesting for those who have heard me in the role of a neutral moderator for a long time, to find out what I think are the strongest arguments for Christianity and how I’ve handled the objections personally too. For those who have never heard of the show however, I hope it will still be a helpful resource as it presents arguments for God and Christianity in the context of real conversations, Often we tend to be presented with a pre-packaged sort of apologetics. Real life is never that simple however. It’s helpful to see what this stuff looks like when there is someone pushing back. At the same time, I think that my experience moderating and communicating the discussions over so many years has given me an ability to convey arguments for faith in an understandable way. There are many apologetics books that don’t appeal to ‘ordinary’ Christians, but I hope this one will. Lastly, I also wrote this with the non-believing reader in mind. My hope is that, just as both Christians and non-Christians listen to the show, this book will be accessible to both as well. MCDOWELL: What do you think are the toughest questions skeptics raise to Christians? And what are some helpful points you would offer in response? BRIERLEY: The toughest questions are usually the ones that have been around the longest and asked the most frequently. For me that would be the problem of why a Loving God allows evil and suffering. It’s a question on many minds here in the UK following two dreadful terror attacks. When responding to that question it’s important to establish why it’s being asked. For someone who is going through pain or a tragedy, they probably don’t need a logical answer at the point. They need to be loved and cared for. But when the time does come for answers, then it’s always worth pointing out that we don’t really solve the problem of suffering by getting rid of God. While suffering in a Christian context is certainly a mystery, on atheism it is simply meaningless. I think we also need to be prepared to challenge people’s picture of God. Many people come to the question assuming that God’s job is essentially that of a divine childminder- keeping us safe, secure and comfortable. But if God’s primary purpose is to bring people into a meaningful relationship with Him, then it may be that he can work through suffering as part of that. It is often only through difficult circumstances that people come to trust in God, whereas we forget about God when our lives are comfortable. Ultimately, the most profound thing we can offer to anyone is that God knows what it is like to suffer. Christianity is unique among all the religions and worldviews for its claim that God himself suffered with and us and for us on the cross. That doesn’t answer all our questions but it has inspired countless people to hold on through pain.